From the pub to the print room, BCIT’s Student Association is looking at all their options to reduce waste on campus. Last year, they overhauled their napkins, cutlery, cups and straws, sourcing eco-friendly and compostable options whenever possible. 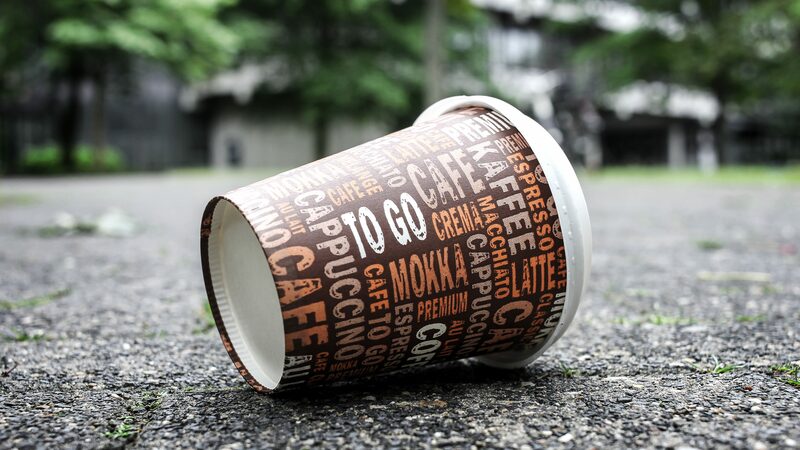 Ready to kick your disposable cup habit? Bring a reusable mug for your next coffee on campus. Not only will you get a discount, you’ll also feel good about reducing waste in landfills and waterways. 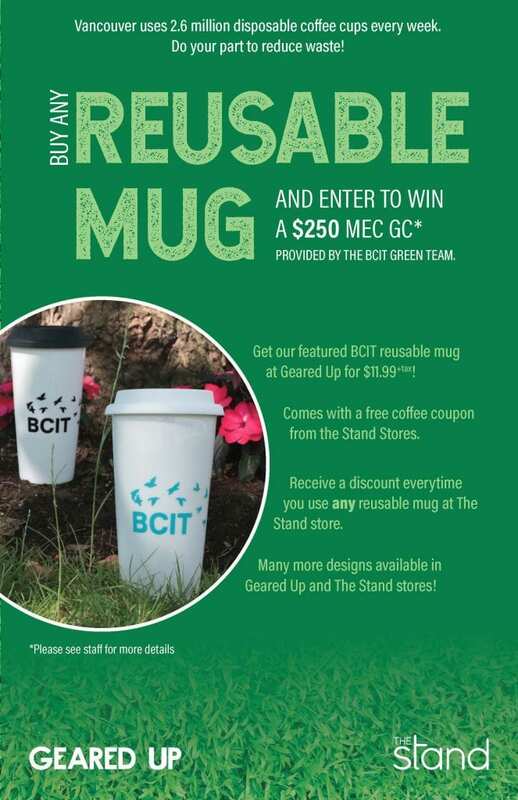 BCIT Food Services, which operates many additional food outlets on campus, is making the switch to all biodegradable and compostable items by summer 2019. Stay tuned to BCIT News for updates. This story is part of the monthly Countdown to Ecocity 2019 series, which highlights BCIT’s leadership in the face of today’s complex environment challenges. This initiative supports the Ecocity Standard for Responsible Resources/Materials, which aims to ensure resources are sourced, allocated, managed and recycled responsibly and equitably, and without adversely affecting human health or the resilience of ecosystems.